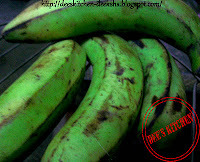 * In a mixing bowl combine grated raw banana, carrot, dates, onion, ginger, green chilly, mint, garlic and crushed peanuts. * For seasoning add salt, red chilly powder, and chaat masala. * Add roasted chickpeas powder/Bhuna chana powder and fresh coriander. Mix very well. * Now take small amount of mixture. 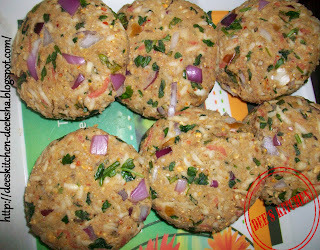 Shape into medium size tikki. * Deep fry the tikkis till they turn golden brown in color from both sides. 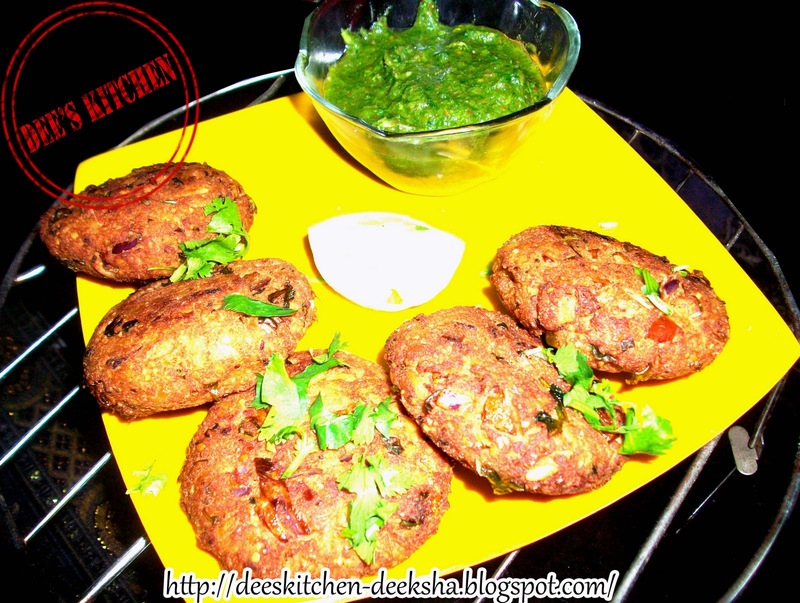 * Chatpati Hot Khajur Tikkis are ready to be served with green chutney and tomato ketchup. * Enjoy with a cup of tea. 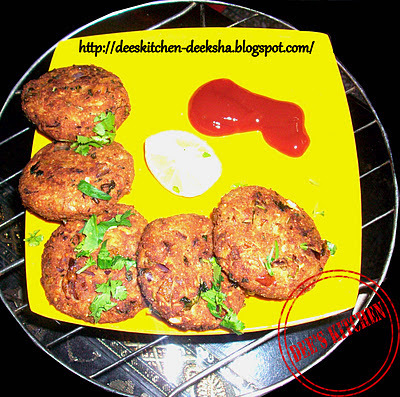 flavourful and delicious recipe.. very innovative..
Tikkis look so delicious and mouth watering. What a refreshingly new kind of tikki!!! Love it Deeksha!! 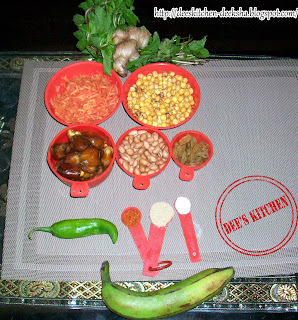 awesome dish ..this is totally too good..
Nice and delicious recipe.. lovely combination.. thanks for sharing dear !! Yummy n delicious dear..never tried dates in tikkis..lovely tempting clicks!! Woww.. it looks so yummy. dint ever think of dates..
Wow totally new for me,never tried tikkis with dates,thanks for sharing. love the tikki dear . Totally new to me. must try it out. could you add a link to it linking it to the my announcement and priya's place. They look crisp n yum! Looks delicious Deeksha, in my backyard lots of bananas must try today evening.Thanks for sharing this. 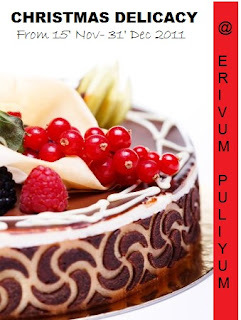 Unique and innovative recipe. Looks superb, crispy, delicious and yummy. Very beautifully presented.